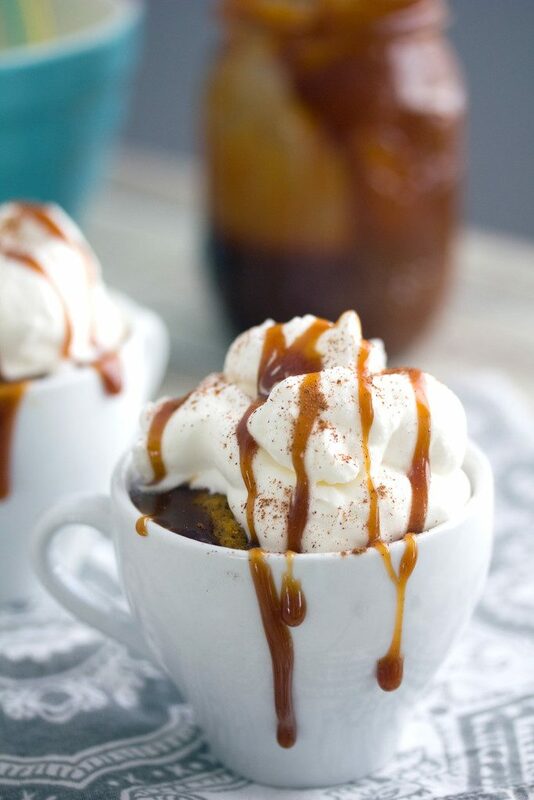 These Pumpkin Spice Latte Mug Cakes are quick to whip up and only take one minute to bake in the microwave. 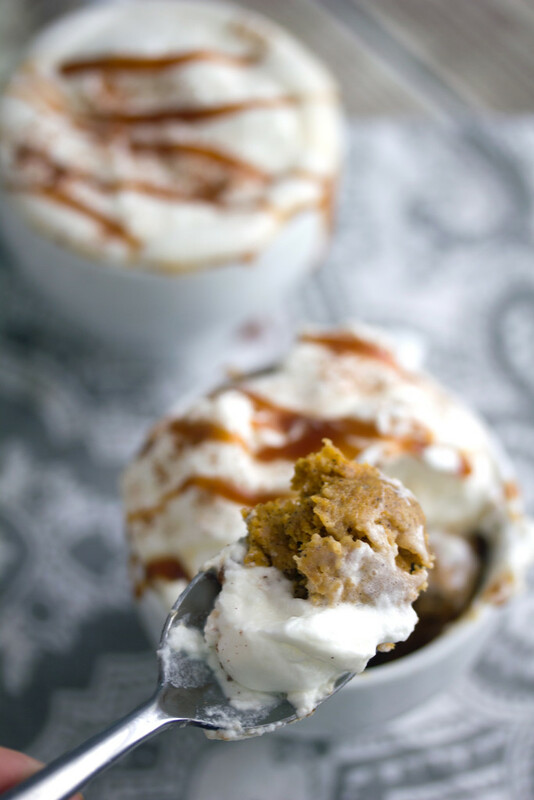 Pumpkin mug cake will most definitely get you in a cozy fall spirit! Yes, it’s time for the first pumpkin recipe post of the season! Are you psyched? Annoyed? Totally sick of pumpkin? Or just plain not ready for pumpkin? 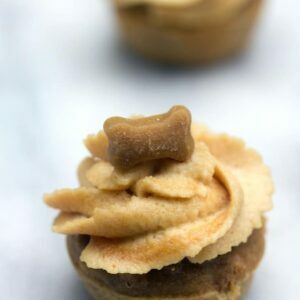 Just for fun and out of curiosity, I looked back to find the first pumpkin recipe I ever posted here on We are not Martha. It was almost seven long years ago. Seven! The photos are most definitely not pretty. Like at all. But I mean, did you know that when I started blogging, I was using my phone’s camera to take photos? OK, so these days that might actually work pretty well; I do love my iPhone camera. But back then? I had a flip phone. I’m pretty sure it was a Samsung. Not even a Razor, which would have at least sounded a little cooler. I have no idea why I thought it was a good idea to start a food blog with only a camera phone, but I barely remember questioning it at the time. And I guess I somehow made it work for at least a couple months. I mean, you’re still here right? Though maybe not for long if I have you scrolling back into the archives of this blog. But anyway, my very first pumpkin recipe was for pumpkin pancakes… The photos were SO bad that I recently updated them. Phew. Also, comments from some of my very favorite bloggers who were my first “Internet friends.” I have to say I’m actually somewhat surprised I only have a total of 31 pumpkin recipes on this blog because it feels like way more. Though 31 cans of pumpkin does seem like a lot… Especially when you consider that pumpkin shortage we suffered through a few years back. I was pretty excited when I saw Wilton was coming out with a ceramic mug baking set for the fall. I knew I wanted to make some sort of mug cake… And that it would involve pumpkin… And that it should definitely incorporate coffee in some way. And the Pumpkin Spice Latte Mug Cake was born! This is the kind of cake you can make in a serious pinch. It’s likely you already have all the ingredients on hand. Especially if you’re like me and hoard canned pumpkin throughout the year. I think I’m still traumatized from that shortage, so I always stock up. 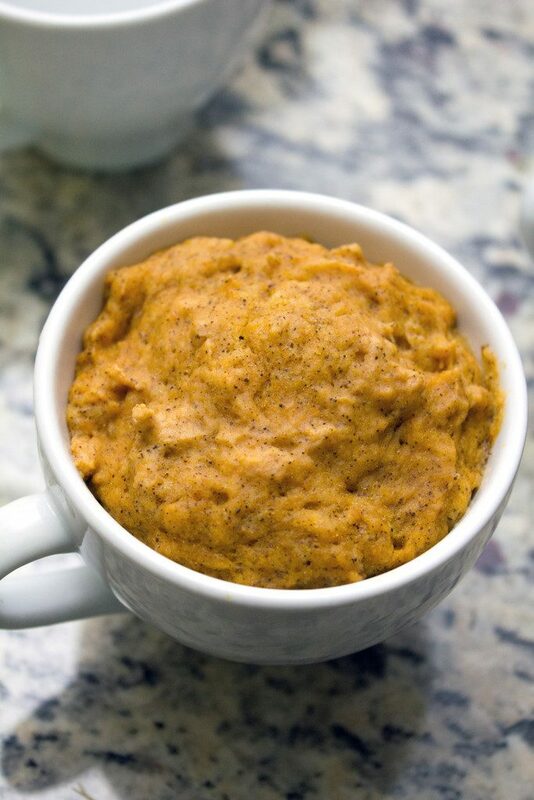 Now that pumpkin mug cake is in my life, I’m going to be stocking up even more! 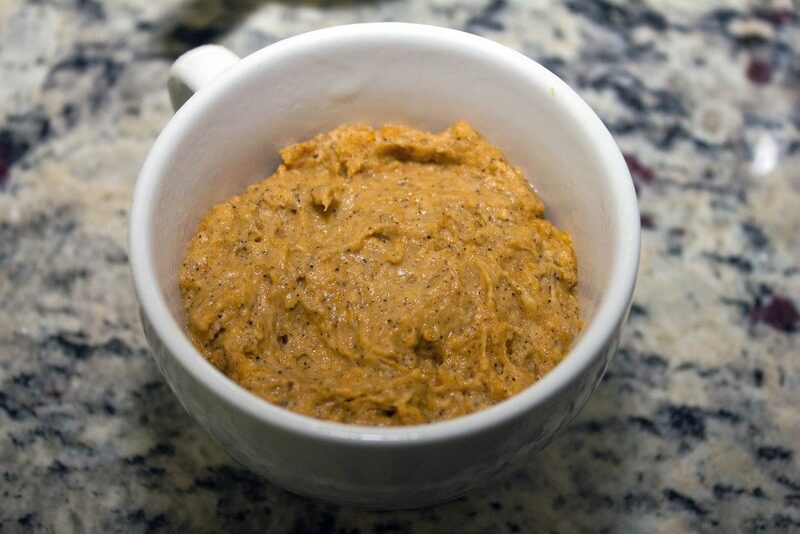 I think by now you probably know that it’s the whole “spice” thing that people love pumpkin so much for. Pumpkin itself is pretty bland, but once you get that cinnamon and nutmeg involved, it’s a whole other story. So, once you’ve spooned the pumpkin cake batter into the mugs, guess what you do? You just put the mugs in the microwave for literally a minute. I’m not usually big microwave enthusiast, but when you want cake and you want it fast, it seriously cannot get speedier than this pumpkin mug cake. Have you ever baked a cake in just one minute? It’s borderline dangerous. But also the most amazing thing in all the world. And because no pumpkin spice latte is complete without whipped cream, I topped these little cakes with plenty. And caramel drizzle, too, because has that ever been a bad idea?? For as much as I love pumpkin, I’ve actually never been big on pumpkin spice lattes. I’d rather drink a regular old coffee in pumpkin spice flavor. Or even just whip up my own cup of coffee with a pinch pf pumpkin pie spice brewed into it. That just makes me feel so fall-ish and cozy and happy. 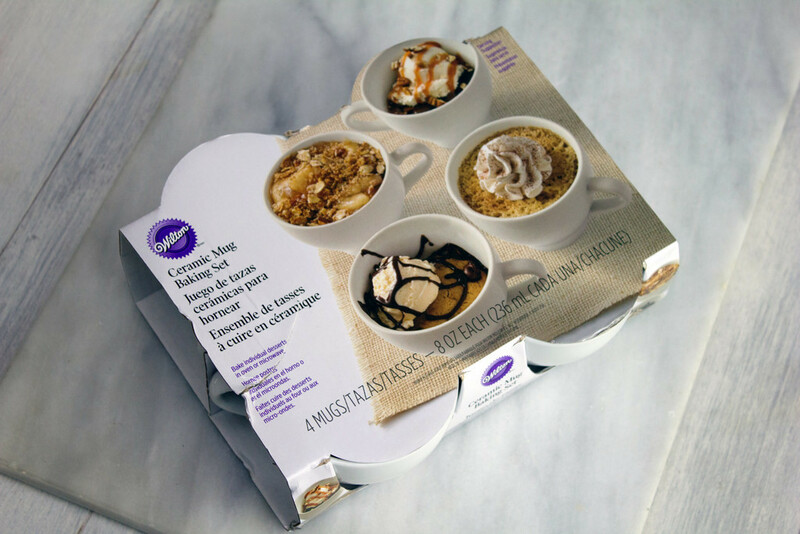 But pumpkin spice latte mug cake is another story. I would eat this all day long… Possibly with a cup of pumpkin spice coffee on the side. Overload? I’m going to try not to overdo it on the pumpkin spice blog recipes this year… I actually only published three last year! Plus, I’m super feeling cranberry this year, so expect to see that in a starring role. 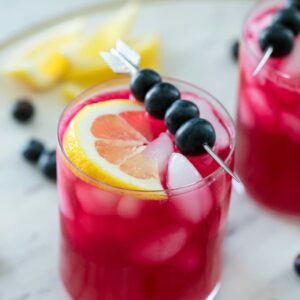 And I think you can expect to see more cranberry in general in both the blogosphere and the real world. While I’m not sure this country’s love for pumpkin is going to disappear any time soon, I know some people are starting to get veryyy sick of it and are looking for seasonal alternatives. 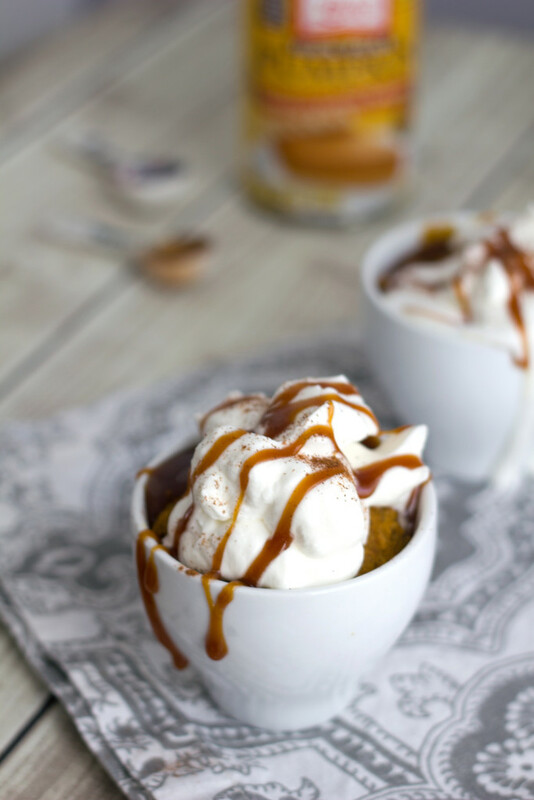 But please try not quit pumpkin until you try this pumpkin mug cake. I highly recommend you sweeten the experience by putting on stretchy pants, possibly starting your first fire of the season or lighting a candle, and curling up on the couch with a mug of this cake. I can pretty much guarantee you won’t be sick of pumpkin after that. I hope your week is starting off as good as it would be if you were snuggled on your couch eating a pumpkin mug cake that only took one minute to bake (*puts head down and cries at my desk*). Are you so sick of pumpkin or still on board? 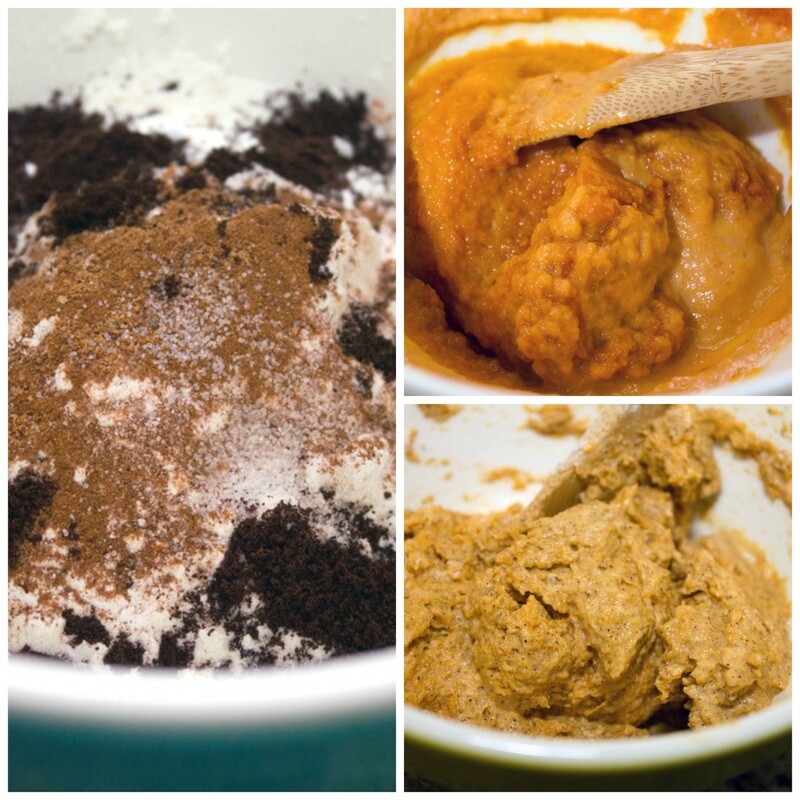 In a medium bowl, whisk together flour, baking powder, cinnamon, nutmeg, salt, and espresso. In the bowl of a stand mixer (or in a large bowl with a hand mixer), beat together pumpkin puree and 1/4 cup sugar until smooth. Mix in vanilla. Gently mix half of the dry ingredient mixture and half of the milk into pumpkin until just combined. Repeat with remaining dry ingredients and milk. Lightly spray 4 8-ounce heat-proof mugs with cooking spray and fill about 3/4 to the top with batter. Place in microwave and bake for about one minute. Remove and let cool slightly. 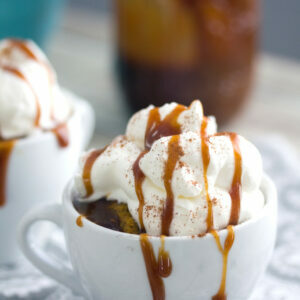 Once mug cake has cooled a little bit, top with whipped cream and drizzle caramel sauce over the top. These mug cakes are best enjoyed hot, but whipped cream will melt if put on too quickly. In the clean bowl of a stand mixer (or in a large bowl with a hand mixer) set to medium-high speed, beat cream, sugar, and vanilla until stiff peaks form. In a medium saucepan, heat granulated sugar over medium heat. Stir frequently with a rubber spatula until sugar turns into a smooth amber-color liquid. Stir the butter into sugar. You’ll notice that the mixture will bubble quite a bit with the addition of the butter. Stir this mixture for about 2 minutes, until the butter is completely melted. Stir the cream into the mixture and let it come to a boil. Remove the saucepan from the heat and stir in salt. 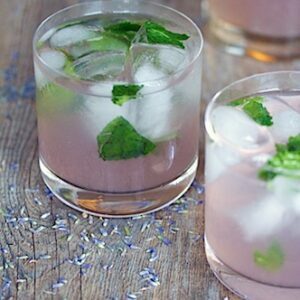 Pour the mixture into an airtight container like a mason jar. Store in fridge until you’re ready to use. 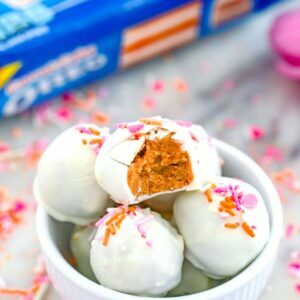 Full disclosure: This post was written as part of my partnership with Wilton, but as always all opinions are my own. I think you know by now that I am a huge Wilton fan!! 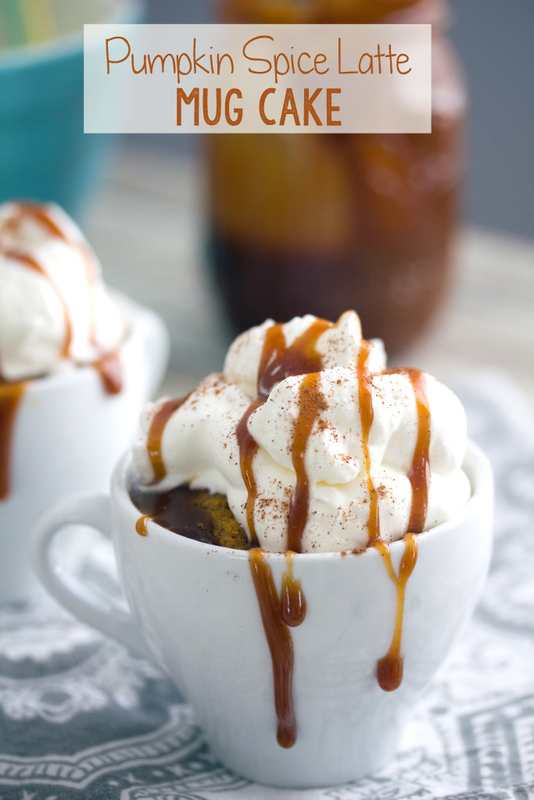 24 Responses to "Pumpkin Spice Latte Mug Cakes"
This mug cake sounds so good, Sues! I love your gorgeous presentation! And now I’m totally craving one for breakfast! How pretty!!! Cake is way better than just a mug of coffee! Borderline dangerous indeed! I totally want a pumpkin mug cake for breakfast right now. Sues, mug cakes are the best, individual portions that I don’t have to share with anyone. That cloud of whipped cream is the perfect finishing touch. By the way, can we bribe Sturbucks into selling this instead of the pumpkin latte, I would take a cake over a beverage anytime! I had a horrible experience with mug cakes and got super sick off of them but i would be willing to dip my toes back in with this recipe. Maaaaaaaaaaaaaaan, this looks and sounds awesome!! I’m so glad they didn’t send this to me because I wouldn’t be able to trust myself with the power that comes with being able to make a cake in a minute. And it’s absolutely perfect for fall, which I’m totally ready for. Am i sick of pumpkin? Heck no. It’s overdone and is in more places than not. But i love the flavor and it’s too connected and perfect for fall to ditch it completely. And i do they too! Brew myself some coffee with some pumpkin spice. A little cinnamon with it is great too. Yay for pumpkin! This does look borderline dangerous but totally worth it! I love mug cakes and a PSL version sounds SO good! Those mugs are such a great idea! I’ve only attempted one mug cake and it was awful. I need to make this and have success! Now that it’s finally getting cooler, I’m so ready for all things pumpkin! My goodness, these look incredible! At first I was excited because I thought this was a pumpkin spice latte, but then I saw that it was a mug cake and that is even better. I can see myself making these very soon! I didn’t know these mugs existed! I like that this looks like coffee but is better!!! I can’t even…what…I just…I need it now. THIS LOOKS LIKE THE BEST THING EVER!! Pinned…obviously :). 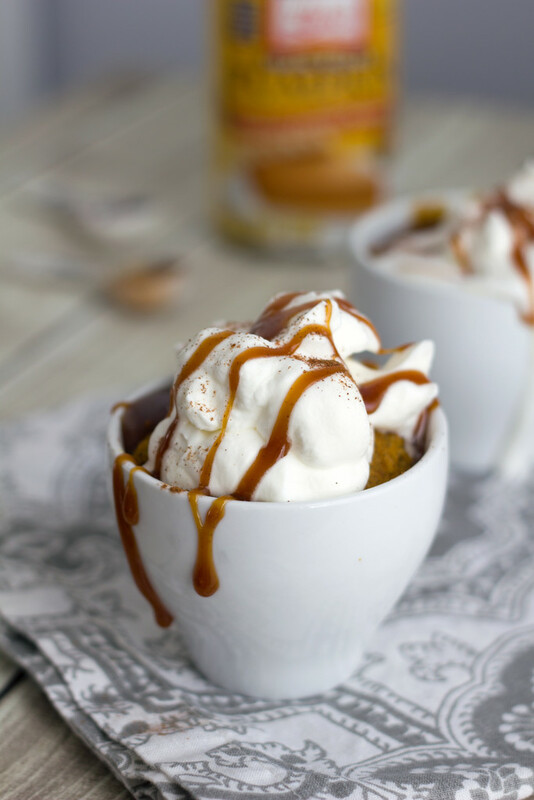 This pumpkin mug cake looks and tastes fabulous! This mug cake looks dangerously delicious!! Love it! No egg? Cool. But I made it and it didn’t turn out. It is gooey and I cooked it 2 minutes. Help! @Meghan- I’m sorry to hear that! Mine was definitely a veryyy moist cake, but not gooey. I would try cutting down on the pumpkin a bit to see if that helps!